In the news: iPhone app, tactile pavements, braille fashion, sports and digitizing books. 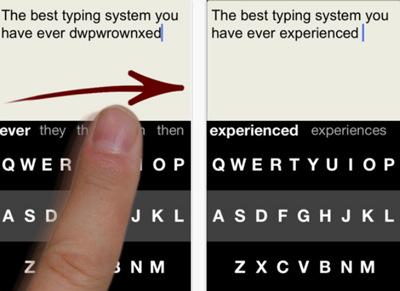 Fleksy: A mobile keyboard app for the blind that the sighted will love too. Type your message in the general area of the correct letters and its prediction engine will correct your typing mistakes. Photo of Fleksy mobile keyboard app. Tactile pavements - embossed bars that help the blind and visually impaired move around in shopping centers, airports and hospitals. 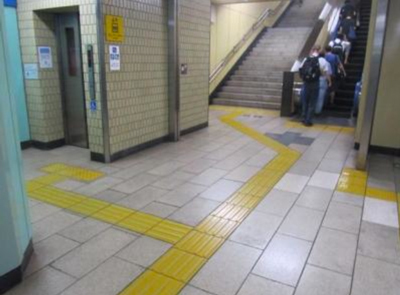 Unfortunately, they are only in Japan. When will we get them here? Photo of tactile pavements in train station. Not really news, but I thought this one was fun. A t-shirt designer who is using braille designs on clothes: Canadian Raised Braille Fashions. Photo of t-shirts made with braille designs. 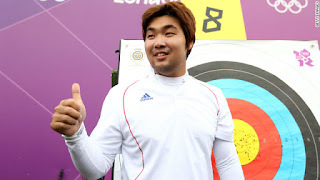 Blind archer set world record in London 2012 olympics - from July 2012. Don't say "I can't do it!" Photo of blind archer in front of target. Google ruling on digitizing books - federal judge concluded that digitizing books in order to enhance research and provide access for the blind and visually impaired is lawful. 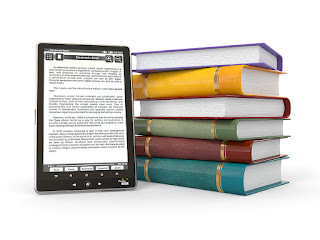 Photo of e-book reader and books.